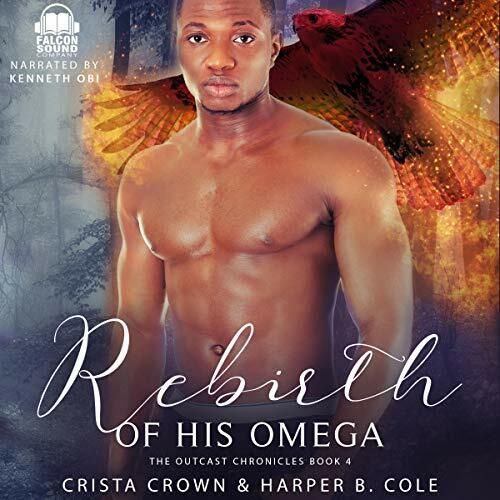 Showing results by author "Crista Crown"
Pierce Steele was the Alphabits first recruit, and is team leader Sam’s right hand man. This whole investigating thing is fairly new for a man used to being a pilot, but he’s always loved pups. When he and the awkward bear shifter Cyrus are sent to investigate a lead on a missing child case down in the armpit of Florida, he expected it to be easy. Interview a few people. Grab the kid, take him home to his parents. Case closed. He did not expect the fiery omega Adrian Shultz to stand in his way. He certainly didn’t expect the daycare worker to be his fated mate. Ryan lost his family to a fire when he was young, and it's haunted him ever since, especially while chasing the arsonist who has been kidnapping gifted shifter kids. Now that they've captured the man and his phoenix accomplice and rescued the kids, Ryan thinks maybe life will be able to get back to normal.... But when the phoenix, a creature born of fire, turns out to be Ryan's true mate, life becomes suddenly even more complicated. My Least Favorite Out Of The 4 So Far. When Kurt is injured saving Ben's life, Ben realizes how isolated he'd made himself and how much he'd come to care for Kurt without even realizing it. But before their relationship can settle, they have to find the man who killed Ben's mate, kidnapped his oldest son, and set fire to their house. But their enemy is more dangerous than they realized, and the lives of everyone they love are at risk. It was only supposed to be a one night stand. Dallas was following an arsonist's trail, and Nick was the hot bartender who kept him company while he waited. But then Nick is pregnant, and Dallas is gone. Dallas's bear won't let him forget the omega fox that is so mischievous and so submissive, completing him in ways he hadn't known was possible. When Dallas finds out about the baby, he's determined to do right by Nick, but the arsonist strikes again, putting their relationship into danger before it has a chance to truly begin.